The Kia Sportage is a five-seat crossover SUV that fits below the Sorento in the South Korean automaker's lineup. Updated for 2020, the Kia Sportage has rivals in vehicles such as the Honda CR-V, Toyota RAV4, Ford Escape, Mazda CX-5, and the related Hyundai Tucson. With the Sportage, Kia has made a transition from off-roader to urban carver. Its smallest crossover SUV was, in its distant past, a true SUV. These days it's more a crossover with more car-like road manners. Changes for 2018 are minor but widespread. Automatic emergency braking is now available at every step of the Sportage trim walk. Sportage EX crossovers now include blind-spot monitors and every variant sees some optional equipment shuffling. The latest Sportage that arrived for the 2017 model year has a look that's thicker and more muscular. It brims with big air intakes and puffed-up fenders. Inside, the Sportage's new cabin is streamlined with a more horizontal layout and more soft-touch materials. Two powertrains are offered on the new Sportage. 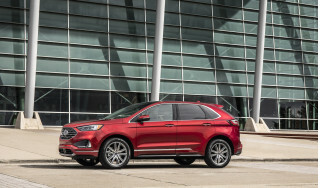 Base models get a 181-horsepower 2.4-liter inline-4, with a 6-speed automatic and a choice of front- or all-wheel drive. The Sportage SX has a 2.0-liter turbo-4 with 240 hp. A fully redesigned suspension and steering system improve its on-road performance. The Sportage is one of the heaviest models in its class, and while that helps allow a nice, settled ride, it does make the driving experience a little more deliberate than you might expect, given the specs. The new Sportage is slightly larger than the previous model, with 1.2 inches more space between the front and rear wheels, and 1.6 inches more overall length. Kia promises slightly more head room and knee room, especially for the back seat. Cargo space is up to 30.7 cubic feet behind the second row. Kia earns good safety scores for the Sportage, including a Top Safety Pick award from the IIHS. The Sportage offers forward-collision warnings with automatic emergency braking; blind-spot monitors; a lane-departure warning system; and a rearview camera. All versions of the new Sportage come with touchscreen audio, Bluetooth, power features, and satellite radio. The Sportage EX adds a new infotainment system with Apple CarPlay and Android Auto, while the Sportage SX gets navigation and an 8.0-inch touchscreen. The Sportage was carried over with no changes through the 2019 model year. For 2020, the Sportage gained updated front and rear bumpers and wider availability of active safety tech. The very first generation of the Kia Sportage was a different car for a different time. 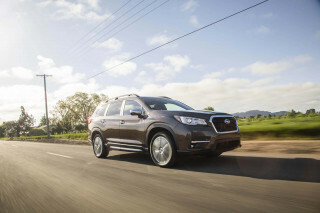 It appeared in showrooms way back in 1993 as a primarily rear-wheel-drive vehicle, and while it faced an uphill battle from the beginning against competitors like the Toyota RAV4 and Subaru Forester, it had a strong start before sales waned. That truck-like Sportage was discontinued in 2002. When the second-generation model arrived in 2004, it had transitioned into crossover territory. 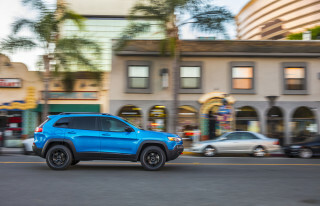 By this time, the compact crossover SUV segment had exploded with newcomers like the Ford Escape, Mazda Tribute, and Honda CR-V, so competition was considerable. The second-generation Kia Sportage was criticized for losing the off-road prowess of its predecessor, while at the same time not being as refined as its rivals—though a new V-6 engine was added to the lineup and overall fit and finish were improved considerably. A facelifted version was introduced in 2008. The changes consisted of new-look bumpers, revised headlights, and an updated dashboard and instrument panel. The base Kia Sportage featured a 141-hp, 2.0-liter inline-4 and front-wheel drive as standard, while the range-topper came with a 175-hp, 2.7-liter V-6 and all-wheel drive. Transmission options included a 5-speed manual or an outdated 4-speed automatic. Overall, these models remained a strong value, even with performance that lagged behind that of many rivals. The most recent Sportage, the third-generation version, arrived in 2011. 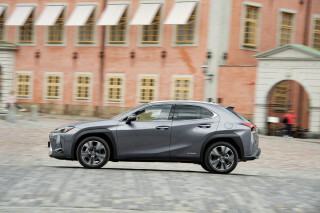 It brought with it crisp new styling, a longer wheelbase, more interior and cargo space, and an improved ride, as well as sportier engine options. 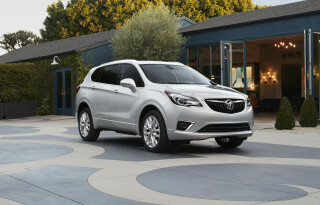 This Sportage offered room for five passengers—four could travel comfortably—advanced interior amenities, good fuel efficiency, and more than a dash of panache at a price that was competitive among compact crossovers. It found buyers among couples and small families, perhaps including a few who've moved up from the quirky Soul hatchback. Mechanically, this Sportage had much in common with the Hyundai Tucson, though the styling was a key differentiating factor. A direct-injection, 2.4-liter inline-4 making 176 hp provided more gusto than previous V-6 engine options, and there also was a 260-hp turbocharged SX model. All-wheel drive remained an option across the line and included a switchable differential lock that helped when the going grew rough. Overall, we found these models to be quite roomy, with reasonably good performance in standard trims. The ride was comfortable, although its quality suffered if you stepped up to the 18-inch wheels. 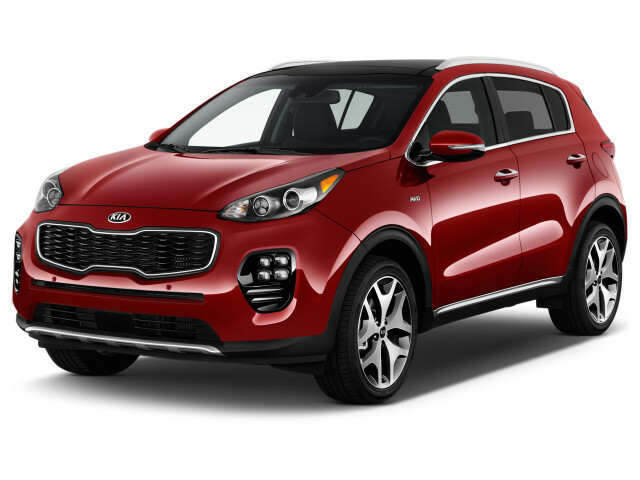 Kia has always focused on features to bring in customers, and that certainly was evident with this Sportage. The list of standard and optional items included keyless start, Bluetooth, a USB port, and satellite radio. Higher trim levels offered leather upholstery, heated seats, a cooled driver's seat, and the more sophisticated UVO infotainment system. The 2012-2013 Kia Sportage was among vehicles found to have overstated fuel-economy numbers. Kia initially submitted figures of 21 mpg city, 26 highway, 23 combined with the 2.0-liter engine and 4WD up to 22/32/25 mpg with the 2.4-liter and front-wheel drive. On a confirmation check of several vehicles, the EPA found the Soul's actual tested fuel economy to be lower, with those figures (along with all the rest in the lineup) corrected to 20/25/22 mpg and 21/30/25 mpg, respectively. See the model-year details for all the other numbers. Owners were able to register with Kia to receive reimbursement for the gas consumed above and beyond expected levels through a website, KiaMPGInfo.com. The Sportage received a very mild facelift for the 2014 model year, as well as an updated version of the 2.4-liter inline-4, which made more power and got better fuel economy—maxing out at 28 mpg highway for the front-drive version. Changes for 2015 were minor, consisting mostly of shuffled package options and additional standard equipment for the top SX trim level. For 2016, the Sportage EX received standard leather seats. I should have done my homework!!! I purchased my 2018 Kia Sportage EX - AWD in August of 2017. The vehicle looked good, drove well, and the interior space was quite comfortable for both driver and passenger. That's where the "positives" end... I purchased my 2018 Kia Sportage EX - AWD in August of 2017. The vehicle looked good, drove well, and the interior space was quite comfortable for both driver and passenger. That's where the "positives" end. Soon after bringing it home, I checked to see whether Kia had included a full size, or temporary spare tire and wheel. Much to my disappointment and surprise, all I found was a can of puncture sealant and a small compressor. Not very helpful in the event of a high-speed blow-out, so I went out and purchased a tire and wheel. Strike 1! With South Korea's reputation as a world technology leader, I expected some of the more common active safety technology to be included on this middle of the line Sportage model. There was no blind spot monitoring, rear cross traffic alert, tire pressure monitoring, or lane departure monitoring. Almost all of these features were present on a vehicle I purchased 6 years ago. In fairness, there was a rear camera. Strike 2!! I soon discovered my Kia did not like Canada's winter. When the colder weather arrived, about -10 to -15 C. the rear manual lift-gate would not unlatch. With no access to the rear storage area and my things stored there, I approached the selling Kia dealer and asked them to have a "quick look". They scheduled a service appointment for 5 days later. Yes; they expected me to go 5 days without access to the rear storage compartment. Fortunately, a day or so before my service appointment I figured out the "Kia secret formula." A hearty thump with my fist on the bottom of the lift-gate managed to persuade the latch to release the lift-gate. Strike 3!! !